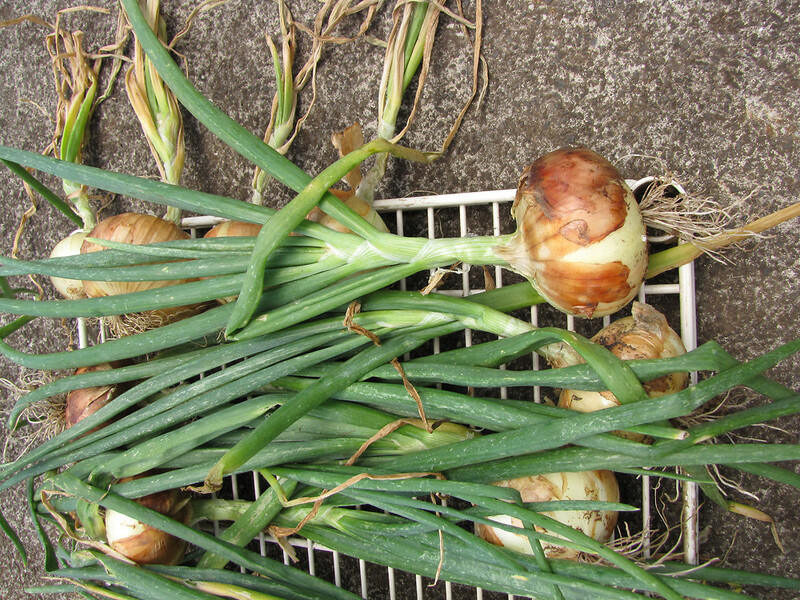 Garden onion is cultivated worldwide. 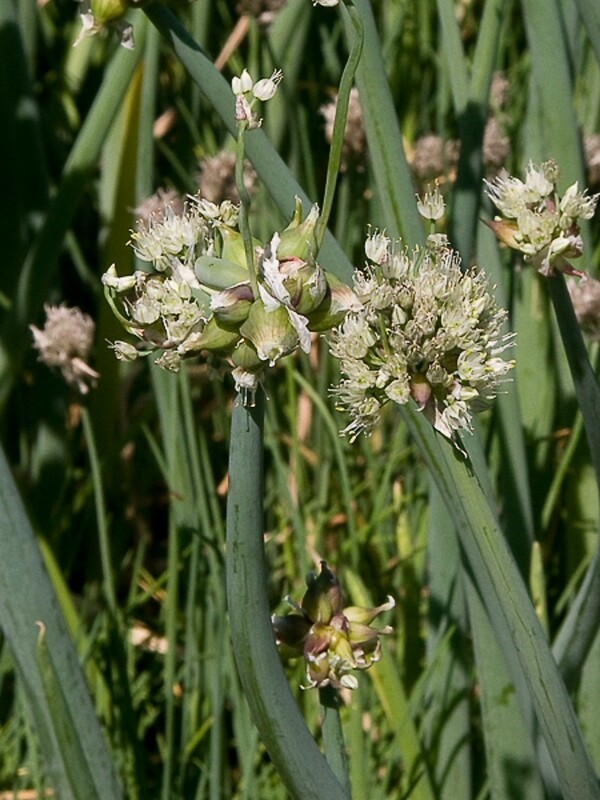 Although it there is no known wild progenitor, the nearest wild relative is Allium oschanini, a species from central Asia. 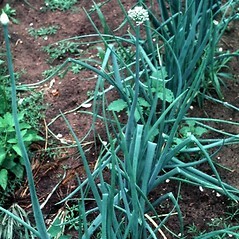 There are many cultivars of onion, with a wide range of morphologies, including some with bulbils in the inflorescence. 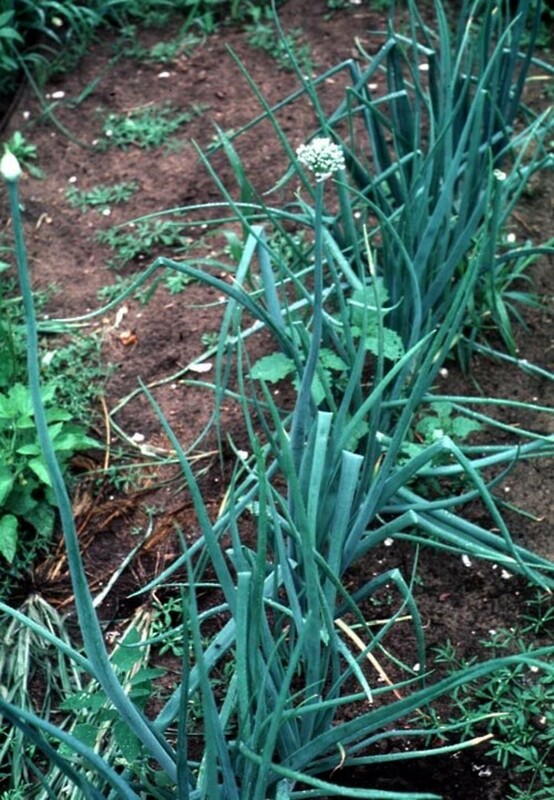 Garden onion may escape within areas of cultivation or agriculture, and occurs sporadically across North America, including New England. 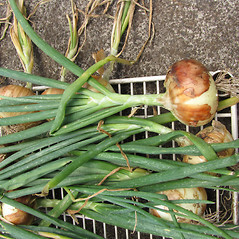 garden onion. 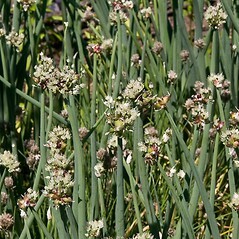 Allium cepa L. var. 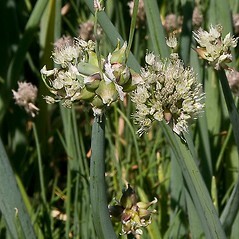 bulbiferum Bailey; A. cepa L. var. 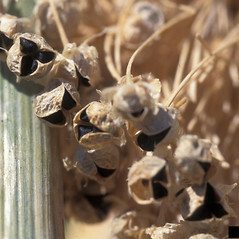 viviparum M.C. 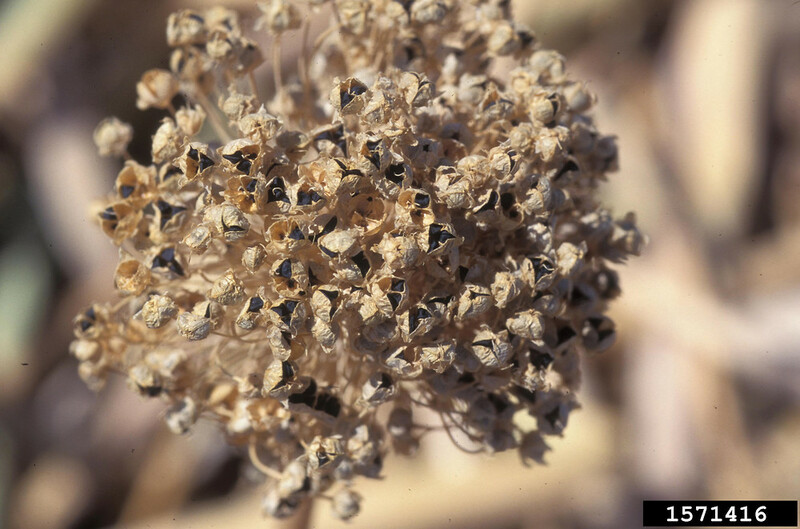 Metz • CT, MA, ME, NH, VT. Fields and disturbed soil in areas of cultivation or agriculture. 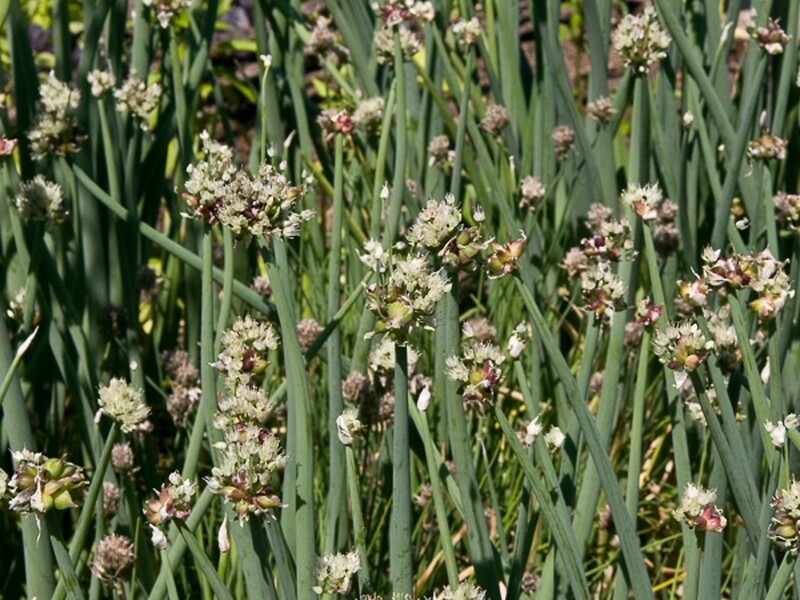 Many different cultivars exist for this plant. 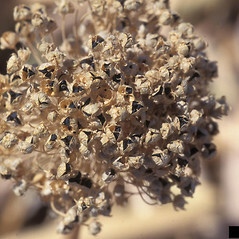 Some of them have bulbils in the inflorescence. 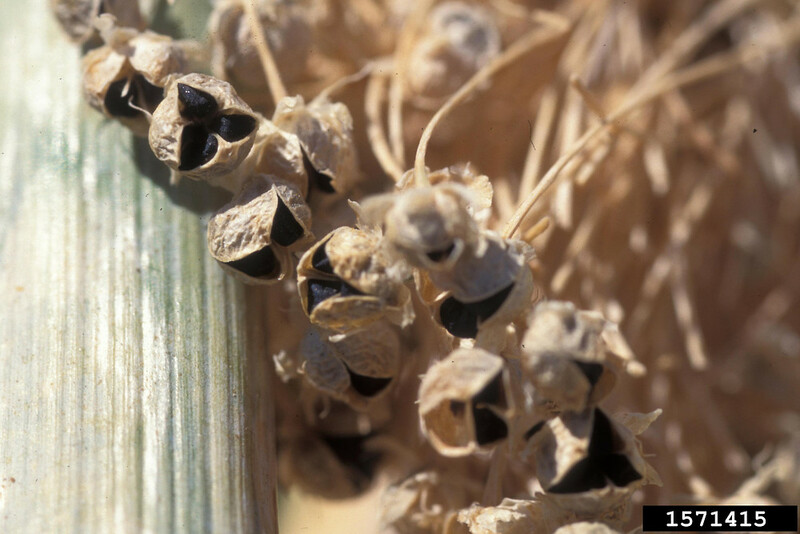 Leaf blade characteristics will serve to identify such plants.